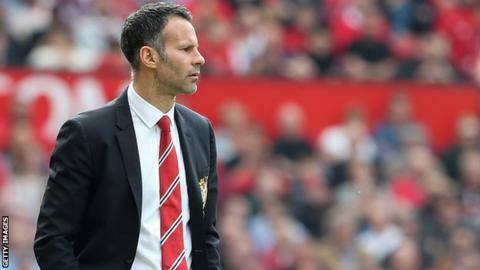 Hull City manager Steve Bruce expects Manchester United to find a coaching role for Ryan Giggs even if Louis van Gaal is appointed permanent manager. Giggs, now interim boss in his 24th season at United, could play his last game at home to Hull on Tuesday. "If it is Van Gaal he'll have his own opinions but there's always going to be a place for Ryan," said Bruce. Defender Nemanja Vidic is certain to be playing his last home game for United, ahead of joining Inter Milan. The Serbian centre-back, 32, announced in March that he is to join Serie A club Inter on a free transfer upon the expiry of his contract at the end of this season. Giggs, who has won 34 trophies with United since making his debut as a 17-year-old in 1991, was appointed interim manager following the club's sacking of David Moyes in April. The 40-year-old has since stated he would consider leaving to further his managerial ambitions, amid speculation Dutchman Van Gaal is set to be appointed as new head coach. However Bruce is convinced his former Red Devils team-mate will stay at the club he has served so well. "I'm sure they'll find a space for him somewhere," he said. "He will be treated properly, I'm convinced of that. I don't think he'll leave." The former United defender also added he thought Giggs had potential to go far in the world of management. "I think the way he handled his first press conference proved to me that he can be as good as he wants to be," Bruce said. "To have the career he's had, you need determination and desire. If he wants to do it, make no mistake, he'll be a success."